» Prepar3D v4 – Available Now! Prepar3D v4 – Available Now for Purchase and Download! Prepar3D v4 is now available for purchase and digital download directly at the Prepar3D Store! The Prepar3D v4 release brings many exciting changes and enhancements to the platform. This new release completely changes the simulation landscape with a comprehensive baseline update to a 64-bit architecture. Higher resolution visuals, more objects, increased data precision, larger scenarios, and improved performance are now all possible at levels never seen before in the product’s history. The sky’s not the limit! 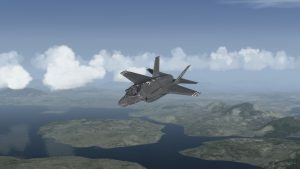 Additionally, the Prepar3D v4 release brings dynamic lighting, rain/snow particles, global 3D trees, increased autogen draw distances, a fully reworked software development kit (SDK), new default vehicles, and an extensive list of other features and improvements. Prepar3D v4 continues the tradition of being the most affordable high-fidelity visual simulation platform on the market. The detailed list of exciting new features and capabilities can be found below! What do you need to know before considering purchasing Prepar3D v4? The minimum and recommended Prepar3D v4 system requirements can be found here. What are the license options and pricing for Prepar3D v4? To see which version of Prepar3D is right for you, please reference the License Options page. Acceptable uses of Prepar3D include simulation, learning, and training. You can see pricing directly on our Prepar3D Store. Is Prepar3D v4 still backwards compatible with legacy content? Yes in many cases. Most aircraft and scenery add-ons will be compatible with Prepar3D v4, but in some cases developers will need to update their products due to the conversion from 32-bit to 64-bit. For any questions on third party compatibility, please check with the developer of that add-on content. Are any new vehicles included in Prepar3D v4? Yes! Please see the Vehicle Library for complete details. Will previous version of Prepar3D still be available for purchase? Yes. While development will no longer continue on legacy versions, we will still offer those version for purchase. Many platforms have been developed using legacy versions and we want to ensure that there is no concern or interruption to those companies or efforts. I have a previous version of Prepar3D, do I get an upgrade or a discount for Prepar3D v4? Prepar3D v4 is considered a new product release. If you have purchased a previous version of Prepar3D within 60 days, you can request a refund and then purchase the desired license of Prepar3D v4. Please see the refund policy for more information. There are no exchanges, upgrades, or discounts available. I have a developer’s license for a previous version of Prepar3D. How do I update to Prepar3D v4? If you are a monthly subscriber, you can cancel your current subscription and purchase a new Prepar3D v4 developer subscription. If you wish to keep your previous monthly subscription you can keep renewing it and purchase a new Prepar3D v4 developer subscription. All major versions can be concurrently installed on the same machine. If you have purchased a pre-paid developer subscription and wish to change it out to a v4 developer subscription, please email licensing@prepar3d.com with your request. Added video recording capability. Can be assigned to a key event in the UI. 3D trees (SpeedTree) integrated into autogen system. This feature can be toggled on and off in the UI under Options – World (Dynamic 3D Autogen Vegetation). New 3D rain/snow system. This feature can be toggled on and off in the UI under Options – Weather (Detailed Precipitation). Added SceneryLodOrigin and TerrainLodOrigin fields to camera definitions preventing terrain paging issues when switching between certain views.